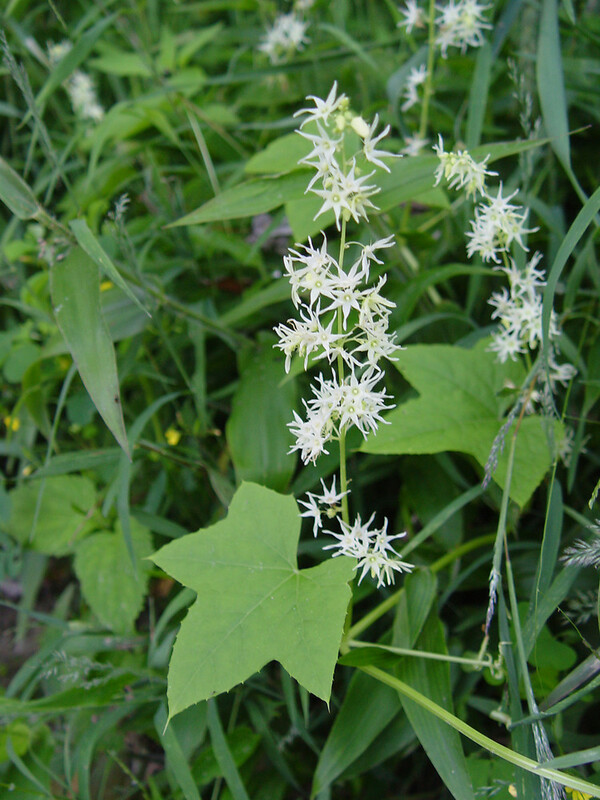 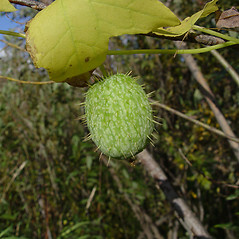 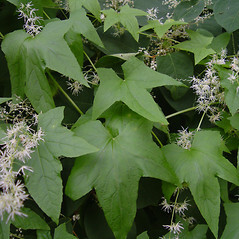 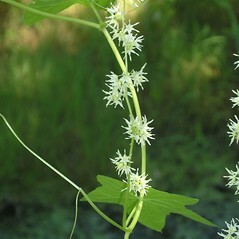 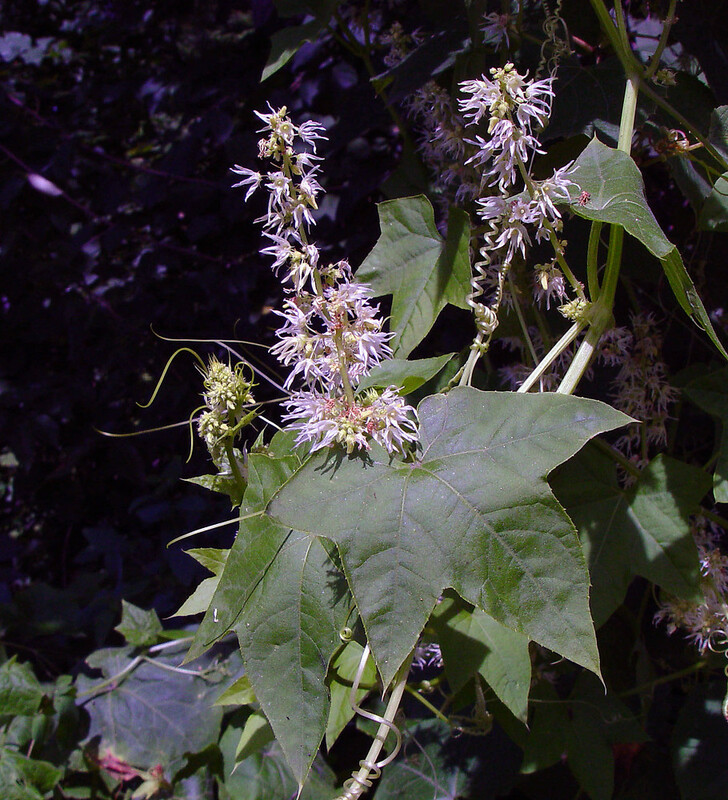 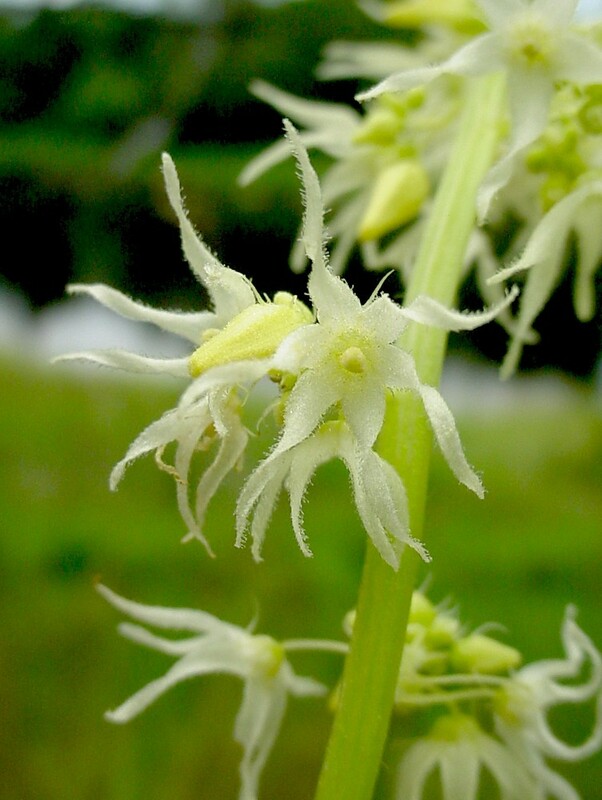 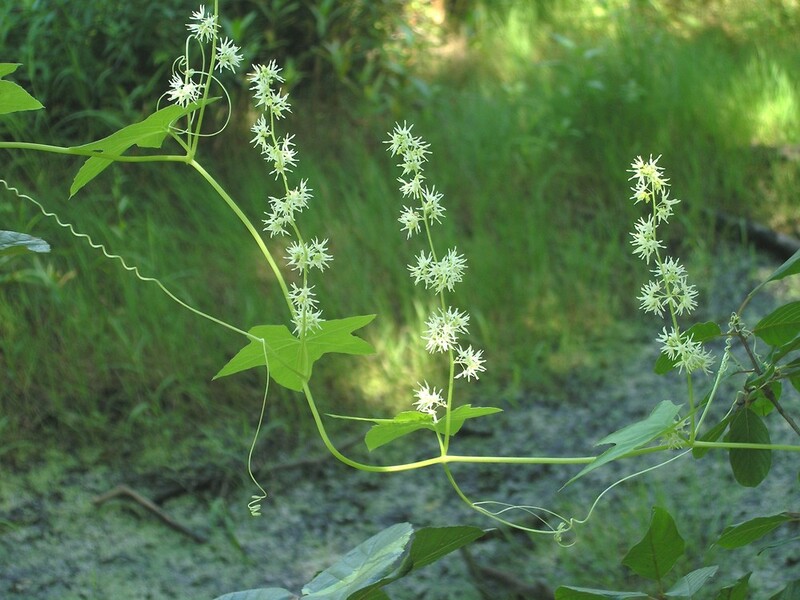 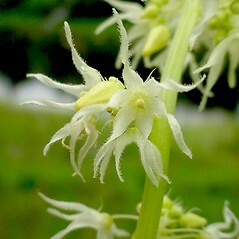 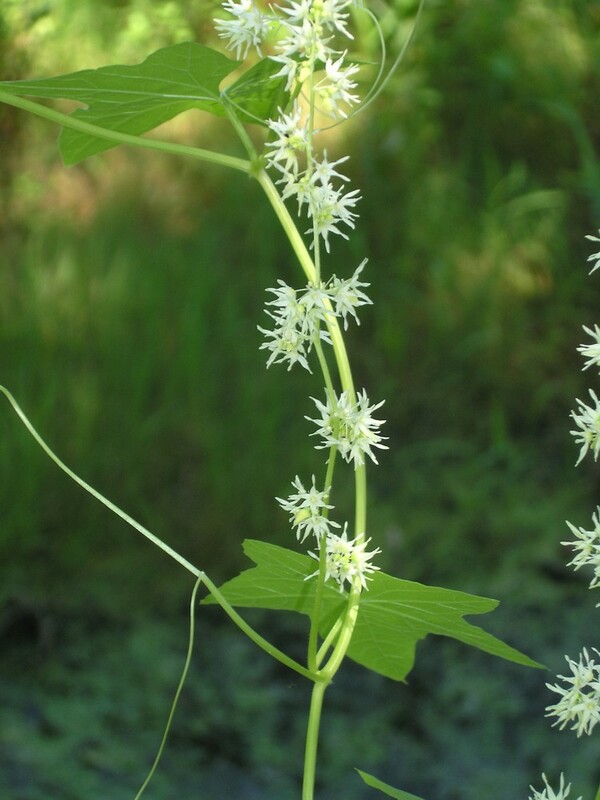 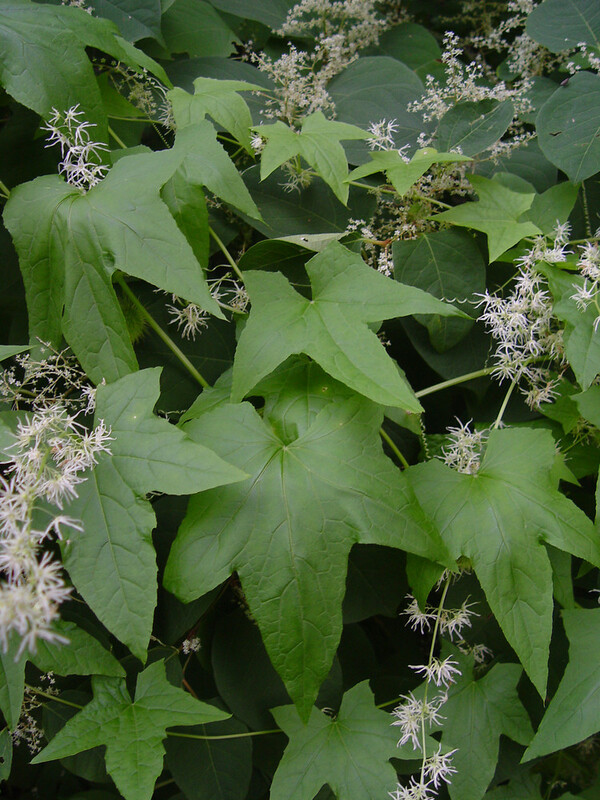 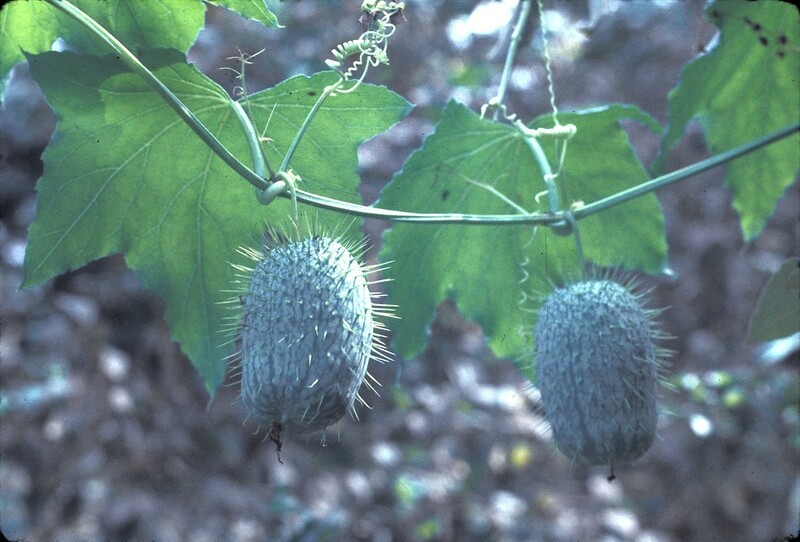 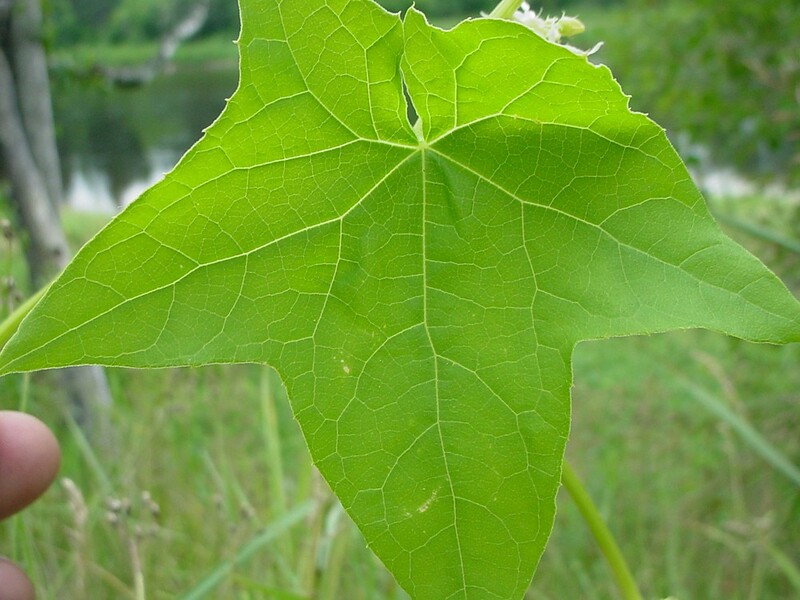 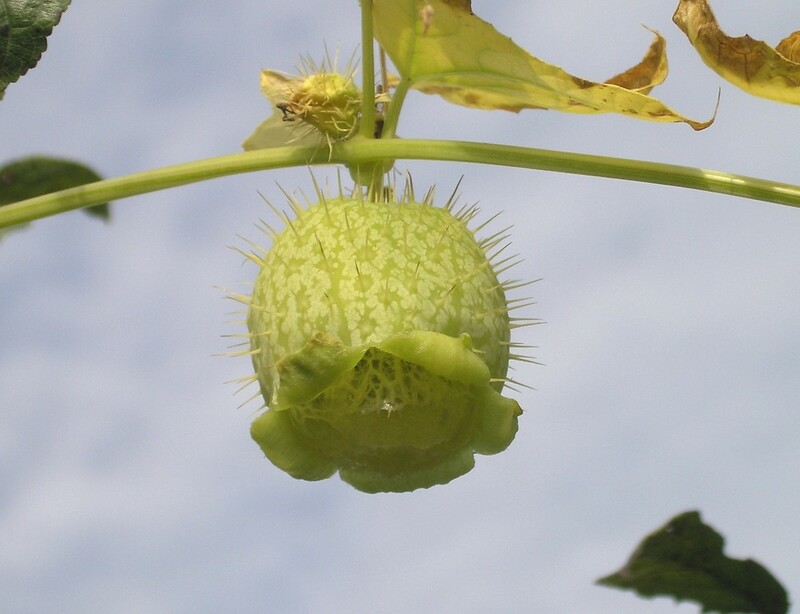 The Menominee People considered wild cucumber the "greatest of all medicines" and always useful. 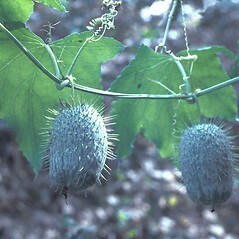 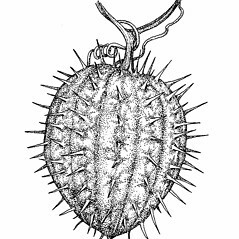 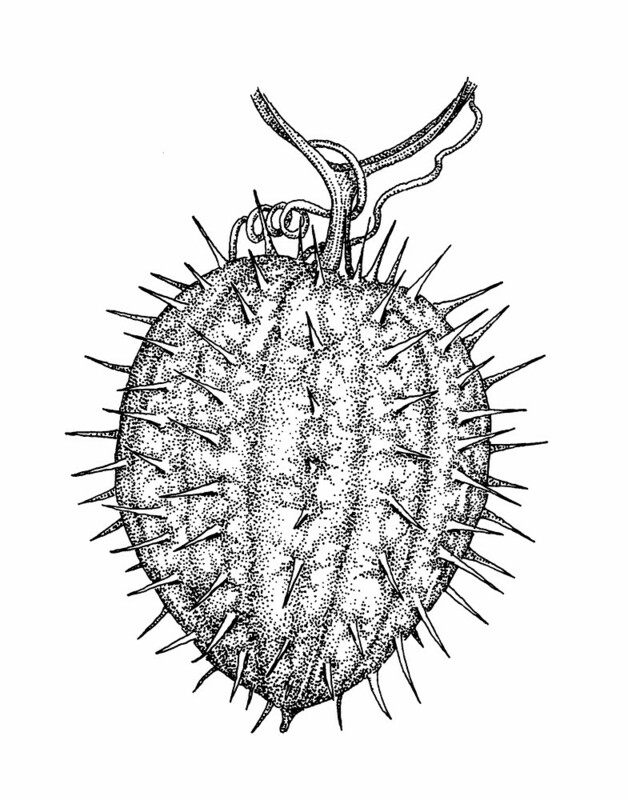 The genus name (Echinocystis) describes the distinctive fruit and is derived from the Greek echinos, meaning "hedgehog", and cystis, meaning "bladder". 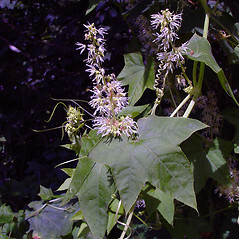 foliage conspicuously pubescent and fruits in clusters of 3-10, 1-seeded, and 1.3-1.5 cm long (vs. E. lobata, with foliage glabrous or sparsely pubescent and fruits solitary, 4-seeded, and 3-5 cm long). 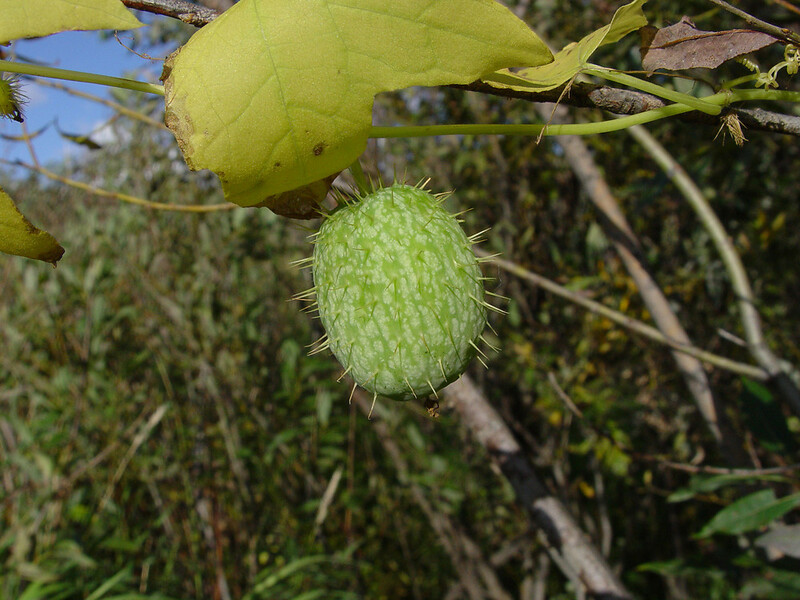 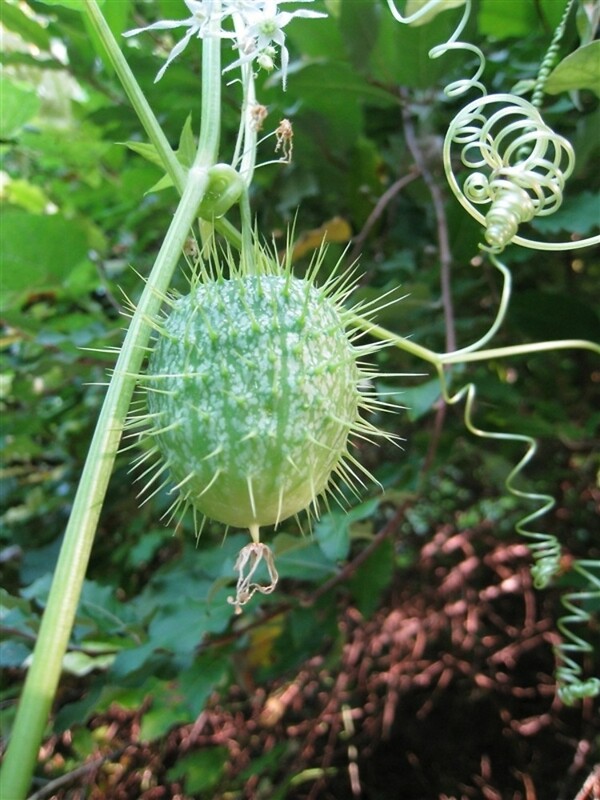 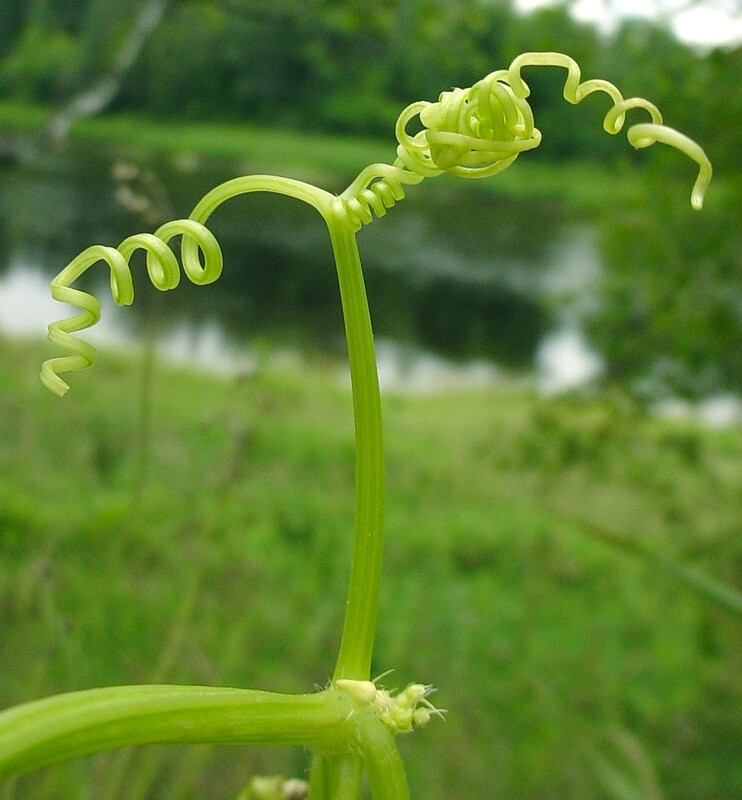 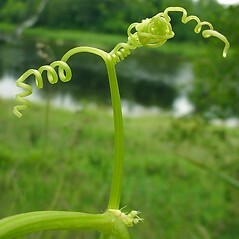 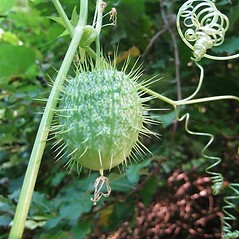 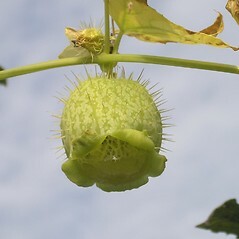 wild cucumber. 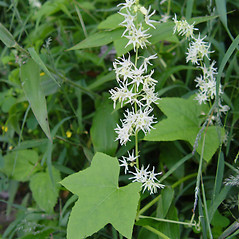 Micrampelis lobata (Michx.) 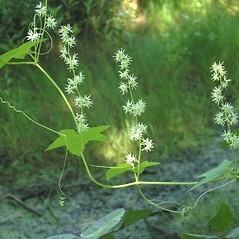 Greene; Sicyos lobata Michx. 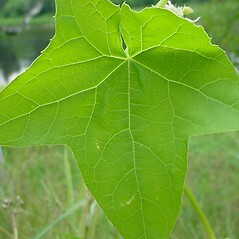 • CT, MA, ME, NH, RI, VT. Riparian forests, farmlands, roadsides and thickets in rich, mesic soil.